Some of the best locations across the UK & Ireland for when you just want to drive "Somewhere", this is a great list of some of your favourite film shoot locations. Take a journey through the streets of Glasgow and you will quickly find various Trainspotting locations dotted around the city. Inner city driving may not appeal to everyone, but it is a great way to visit the locations of this trippy cult hit. Located near the Firhill Stadium, you can visit the working Cafe D’Jaconelli with its bleak retro look which was used in Trainspotting for Renton and Spuds milkshake-speed bonanza. 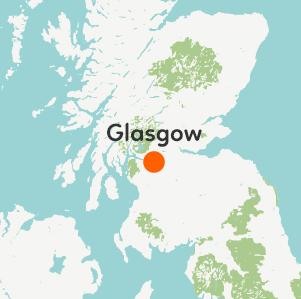 A 25-minute drive outside of central Glasgow and the cafe will take you to a famous greenery. Rouken Glen Park is where you will see Renton’s shooting gallery. This is where Renton and Sick Boy decide to shoot some animals, you may find it’s a lot more peaceful when you decide to visit, however. Whilst you are in Glasgow, be sure to take a peek at the university, whose front gates were used for some scenes in T2 Trainspotting. 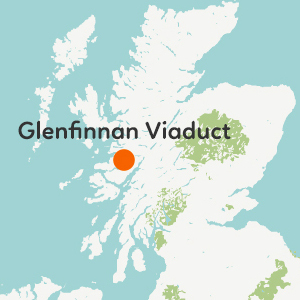 The majority of T2’s filming took place in Edinburgh, where the films are set, see this complete list of filming locations for a Scottish Trainspotting guide. For all fans of Downton Abbey this drive will be a quaint steady visit that allows you to pass through Downton itself. Located in rural Oxfordshire, the surrounding Cotswolds countryside will offer some picturesque landscape before you hit the main attraction. Beware small roads and cobbled village streets in this charming small screen hamlet. 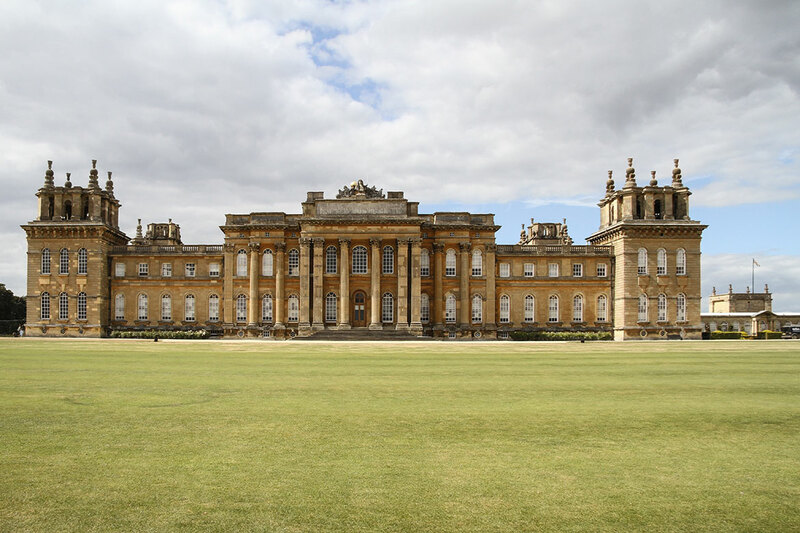 Once you’re finished enjoying the delights of Downton, head 17 miles north east, along the A40, through a stretch of farmland to Woodstock where the legendary Blenheim Palace is located. 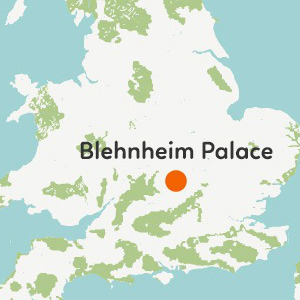 Blenheim has been host to filming crews of James Bond’s Spectre, Mission Impossible: Rogue Nation, Cinderella, The BFG and Harry Potter and the Order of the Phoenix to name but 6 out of the huge list of films to use this magnificent palace. Start with a quiet reminiscent view of Downton Abbey, then enjoy all the film nostalgia that Blenheim has to offer. Some men are coming to kil us, we’re going to kill them first! Glide through misty moors and emerald pastures as the hills roll past you. This is British rural driving at its finest. Become a 00 agent as you grace the Scottish roads with your vehicle’s presence. 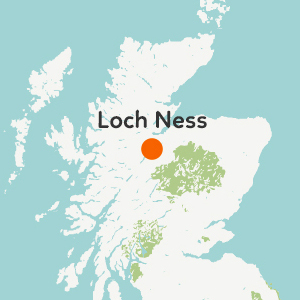 You will drive the A82 on the very route Daniel Craig takes to return to his Scottish roots in 2012’s Skyfall. This stretch of road allows for uninterrupted smooth driving as the curving hills engulf you, hiding you from the outside world like a true secret agent. Drive down the actual King’s Road on your approach to King’s Landing. 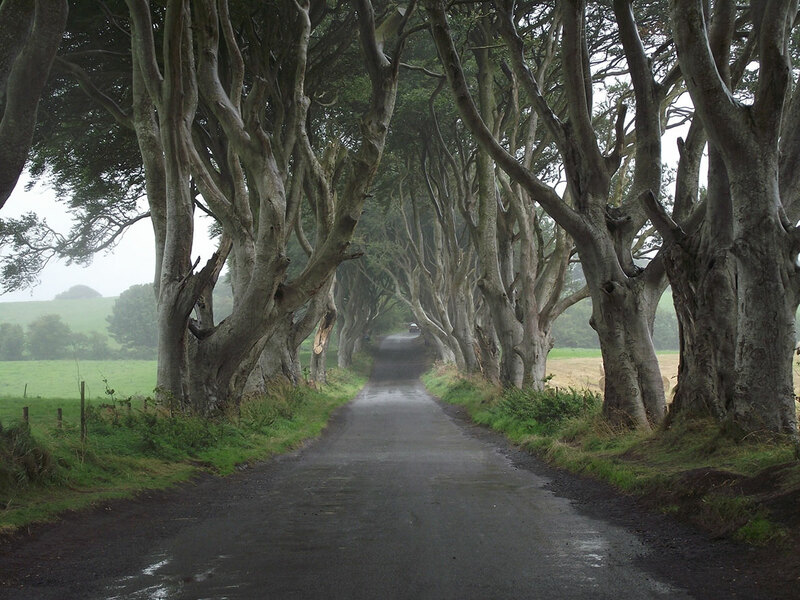 The Red Keep and home to the monarch’s of Westeros, is actually filmed in Croatia, but the road leading to it is in Ballymoney, Northern Ireland. The Dark Trees were planted in the 18th century and form a ominous archway engulfing the light, creating the shadowed road for you to drive on. 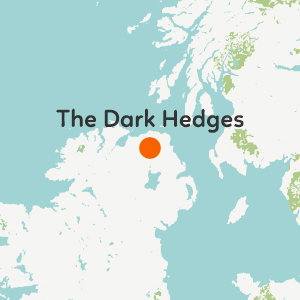 Northern Ireland is home to lots of Game of Thrones filming locations so after you visit the dark trees, head 30 miles south to Antrim near Lough Neagh, to visit Shane’s Castle. The drive south will pass through luscious countryside, approaching the great Lough which spans for many misty miles. 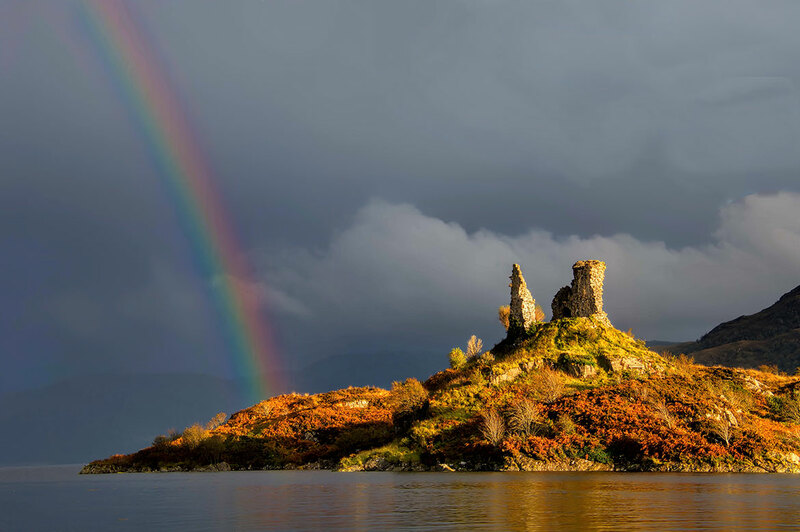 This castle was the backdrop for the jousting tournament when The Mountain didn’t take too kindly to losing and his horse paid the price for the loss. Broadchurch took the UK by storm, involving every household in a southern murder mystery with a beautiful coastal backdrop. 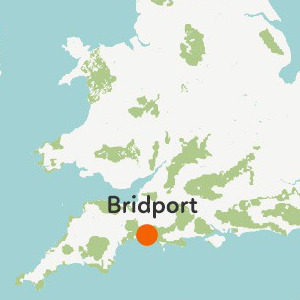 This drive is a 40 minute excursion along the coast to spoil your eyes with ocean views, as you head for one of the most crime-ridden fictional towns in the UK. Drive to the headland when you get there to stare over the bay and brood as you attempt to work out the most recent murder case. 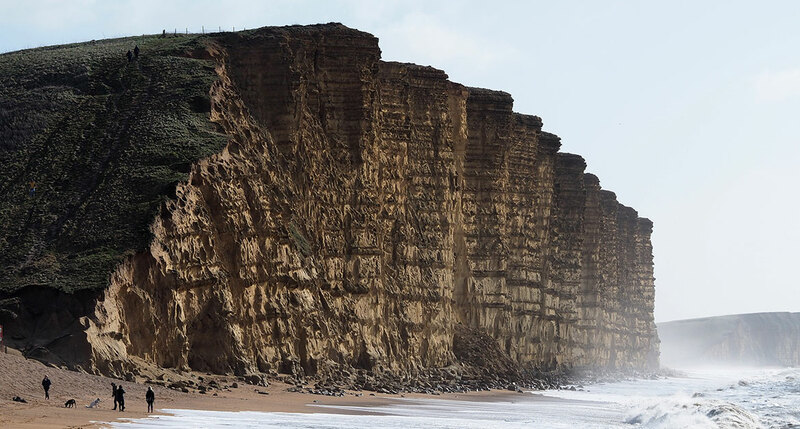 The West Bay has a complete list of Broadchurch filming locations spanning the East Bay and surrounding areas for a complete immersive murder mystery road trip. 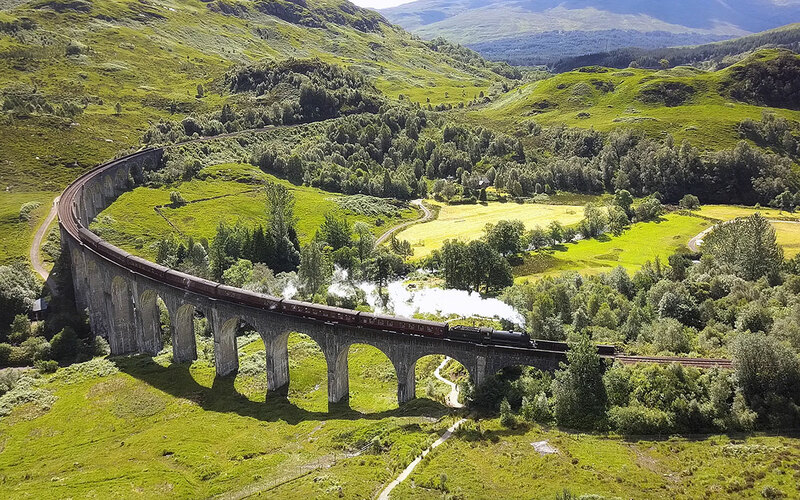 Back to Scotland once more, the Glenfinnan Viaduct plays host to an area famous for aerial shots in Harry Potter, specifically two key scenes. The first being when Harry and Ron joyride the flying Ford, their landing zone can be seen in this area. In addition to that, in The Order of the Phoenix, this is the famous bridge in which the Hogwarts Express travels on. 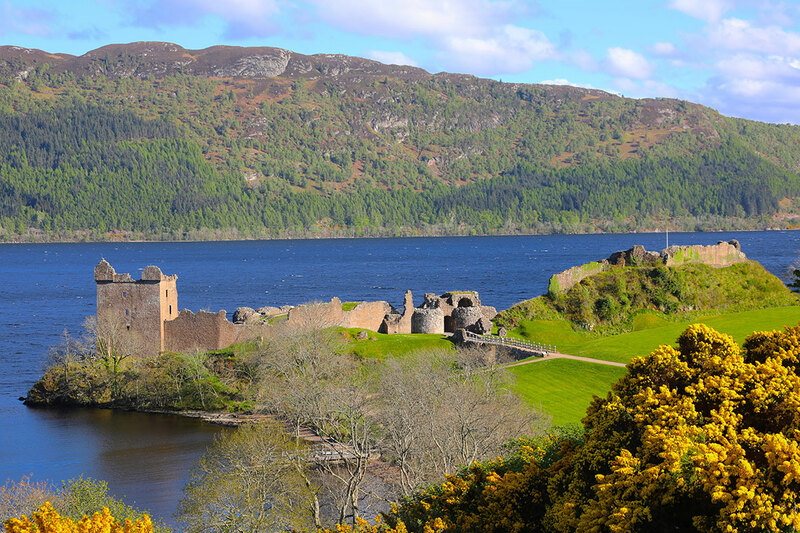 For your driving efforts, you will also be treated to an unchanging landscape coupled with Loch Shiel, a 17.5 mile long body of water that is a sight to be marvelled. If you head an hour south east, you will hit Glencoe, a true Scottish marvel and home to landscape shots for the hit show Outander. For a scenic driving route, you cannot beat the Peak District’s stretches of fields, with winding roads piercing the infinite greenery. Home to many regal film locations like Pride and Prejudice and The Duchess, the Peak District has a lot to offer for film fans. Once you have travelled through such wonders as the Snake Pass, head to the Howden Reservoir for a true classic film location. 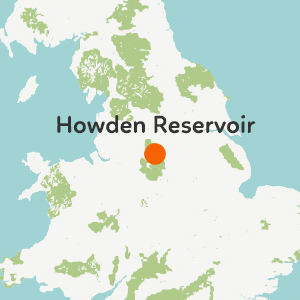 The Howden Reservoir and its dams played host to many of the scenes in the classic Dam Busters 1954 film. They also have a dedicated museum to the real life Dam Busters as well as film information for all cinema buffs to feast upon. Be sure to check out all the Peak District has to offer for film fans and some of the best scenic driving England has to offer. This location requires you to be toured by an external party, however the drive through Ireland to get there is one of wonder. 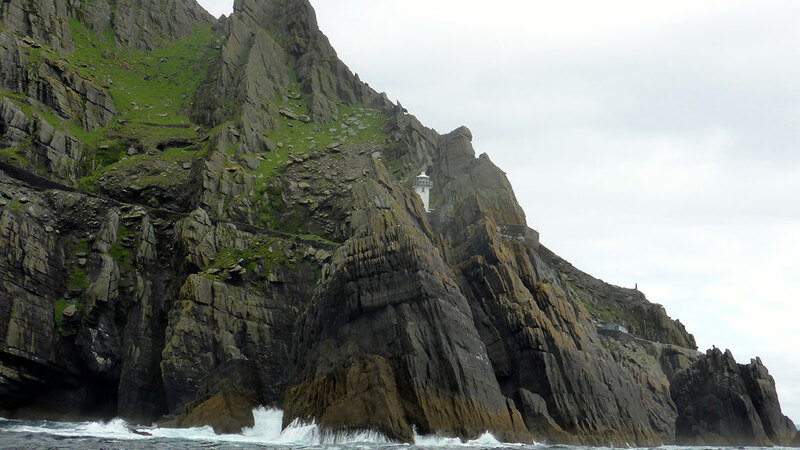 If you are in Northern Ireland enjoying the Game of Thrones road trip anyway, it will be a huge, yet rewarding, road trip down through Ireland to get a taste of a galaxy far far away. The N70 around Skellig delves through thick woodland, meaning your extended road trip is going to indulge your eyes in true green luxury. In fact, on your route south, why not stop at the Cliffs of Moher, for more Harry Potter goodness courtesy of The Half Blood Prince, taking the scenic coastal route south towards the home of Luke Skywalker. 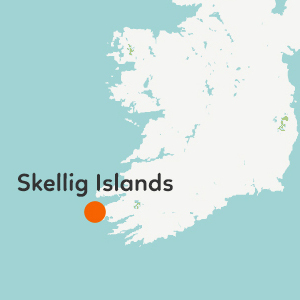 Travelling around this island will reveal various places of Macbeth’s downfall into madness as portrayed by Michael Fassbender in 2015. The Fairy Pools on the island provide a majestic and foreboding setting in which Banquo is slain by Macbeth, and shows the true magnificence of the island. Couple this with The Quiraing, a mountainous, rugged and rocky terrain where Macbeth fights the early war before he is deemed Thane of Cawdor. 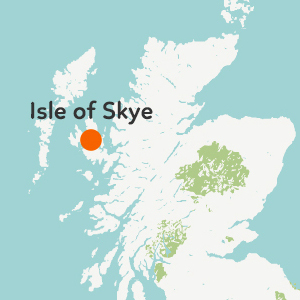 Skye offers an unruly landscape, that should be tackled on any UK roadtrip of filming locations. Returning to another inner city tour, Cardiff has been home to Doctor Who and it’s spin off series, Torchwood, for many years. Cardiff Bay and the city streets all hold hosts of Doctor Who memories, as well as the wider surrounding area, making for a great day tour of all the locations. 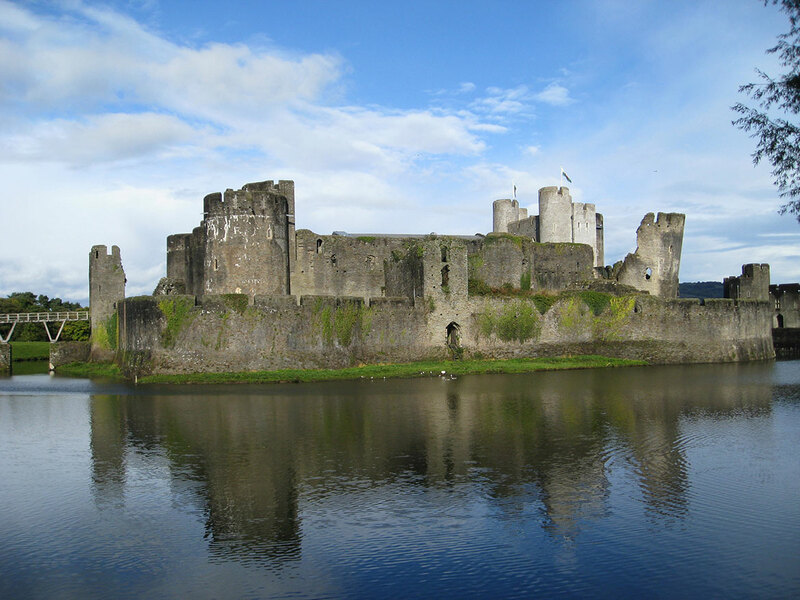 Caerphilly Castle is only 20 minutes drive out of Cardiff and has been used in Doctor Who multiple times including The End of Time episode, where The Master and The Time Lords force The Doctor to choose, in a huge season finale. 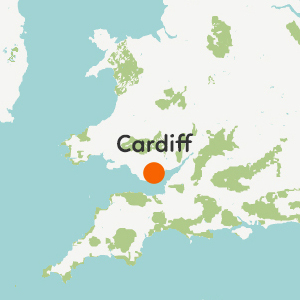 For a full breakdown of all Doctor Who filming locations in and around Cardiff, see this handy guide to create a full TARDIS-worthy Welsh exploration.